Car just died? Or are you riding down I-75 and you car just shut off? No worries, car problems occurs every single second in the Tampa, bay area. 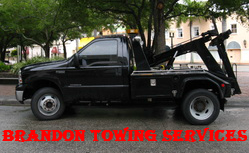 With Brandon, Florida Towing we are not only you local towing company we are also your mobile mechanic. We will come to your job, house, or on the highway. No need to be overcharged at your local dealer. We are convenient and offer affordable inexpensive mobile mechanic services. Mobile mechanic Tampa, specialize in fixing RV, trucks, car, diesel engine, and semi at your very home, at your job. We save you time and money. No need to worry if you will be able to make it to work the next day. Call us on the same day and we will have one of our mechanic come by to check your vehicle out for free! That's right we offer free diagnosing on any vehicle. We understand how stressful it can be when your car decides to give up on you. We want to be your go to mobile mechanic to get you back on the road. Having a mobile mechanic around can be a life savor. Brandon, Florida Towing has countless number of review expressing how we saved their day. Call a mobile mechanic Tampa today. Lets get your car back on the road! We are your one stop mobile mechanic shop! Why are we the best mobile mechanic in Tampa? No need to wait for a tow truck to tow you to a shop! We work on your schedule! Quickest and the most reliable mobile mechanic in Brandon, Florida! 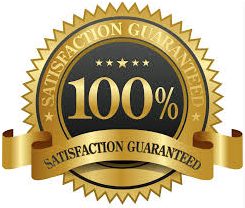 100% of all mechanic work are guaranteed or your money back! No need to spend thousands of dollars at your local auto repair shop we are the cheapest mobile mechanics in Tampa, Florida. Most importantly we are mobile! Check out our website & services!